In case you missed our last [big news] post, and to help keep them flowing fairly regularly, we’ve recruited our sissy’s to guest for us whenever they’re being crafty. Today’s post is right up our ally: cute & cheap to make! 1. Paint 12×12 MDF wooden board cream. 2. Fold 8.5×11 paper horizontally in 1.5″ accordion folds. 3. Cut 1.5″ off the end and across each fold line. 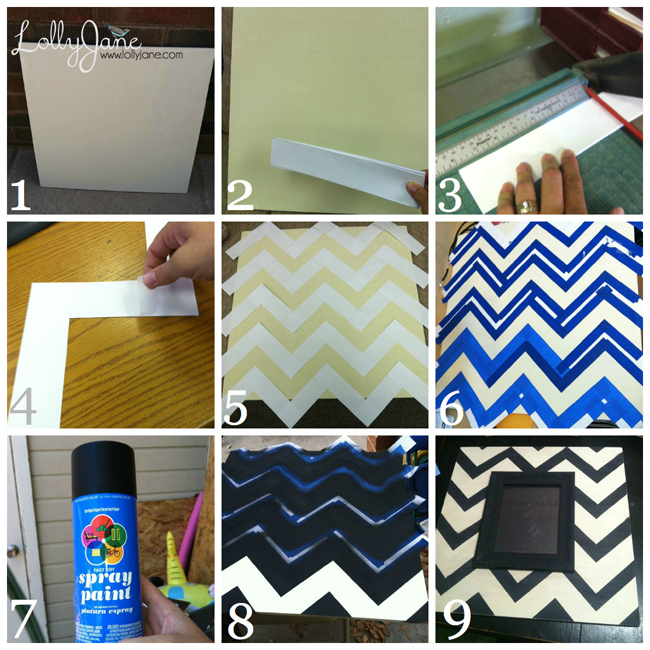 4.Tape pieces in chevron pattern. 5. Lay out taped pieces on board. 6. Tape down pieces and areas to remain cream. 7. Cheap black spray paint @ WallyWorld is the way to go! 8. Spray paint over the pieces. 9. Remove tape and glue frame onto wood. That’s it! We just ♥ the result! 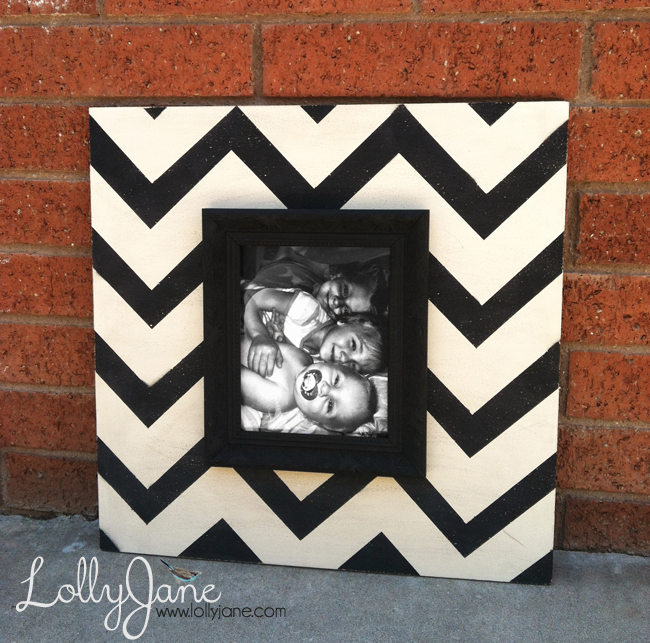 Hope you’re inspired to make something so cute & trendy as these hot chevron picture frames for a fraction of the retail cost. Well we have a few obligations to post this week so we’ll see you soon- happy Monday!